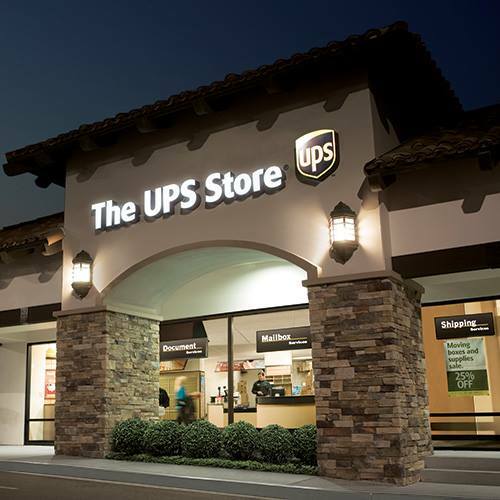 The UPS Store Fort Lauderdale, Florida, was ranked the #1 in the Nation for Customer Experience among 4,240 The UPS Stores nationally. The UPS Store Fort Lauderdale, Florida is a name you can TRUST! We can pack and ship almost anything and because of our Las Olas Blvd location we are the number one resource for Mailbox Rentals (PO Box Rentals) and the Shipping and Crating of Fragile Items, Antiques and Artwork. We ship using UPS, DHL International, and the United States Postal Service as well as various freight vendors. In addition, we have private Florida Mailbox Rentals (PO Box) that have a real prestigious Las Olas street address. We offer great rates from 3 months to 1 year for our Las Olas Mailbox rentals. Other services include Estate Packing, Shipping and Freight Services, our Luggage Shipping Service (Luggage Valet) as well as our Copy and Print Center (color copies, black and white copies, laminating, binding, business cards, stationary at an approx 30% savings over Kinkos) Fax, Notary Service, Crating, and Computer Rentals. Please visit our downtown The UPS Store Fort Lauderdale Florida location. We serve all of Fort Lauderdale, The Beaches, Downtown, Las Olas Blvd, Port Everglades and the Fort Lauderdale/Hollywood International Airport, as well as the surrounding communities of Wilton Manors, Poinsettia Heights, Victoria Park, Rio Vista, Riverside, Sailboat Bend and Broward County.